Here in SugarLand Texas, we take pride in our community. Our citizens have consistently given us high marks for quality of life, public safety, entertainment venues, infrastructure, and schools. Time and again, our biannual citizen surveys give our city rankings above 90% in all of the important areas of life, things that make a person want to move to, or stay in SugarLand. Our community has worked hard to achieve a balanced and healthy lifestyle, with a higher average income and real estate value than many cities in the USA. It’s also our focus to make sure our children have a safe, healthy, fun environment to grow up in. As a result, our schools are rated an average of 8 out of 10 (by GreatSchools) with many of them reaching an actual 10. Our parks are clean and varied, with playgrounds, hiking, biking, and family friendly events year round. Year after year our crime rates are dramatically lower not only than the rest of Texas, but the rest of the country as well. Our tight knit community and excellent police force, as well as a focus on prevention and again, education, ensures that our city is a safe place to live. It’s the kind of town you will still see kids on their bikes and windows open at night. We aim to keep it that way. Just like the pride our community takes in its higher standards or living, SugarLand Movers takes pride in our higher standards of quality in the relocation business. We hire within the community, and use only our well trained and conscientious professionals for our moves. We never use temporary labor workers, because they are not invested in protecting your belongings like our employees are. We take pride in treating every move with equal importance. Whether it’s across town or long distance, each and every family deserves the same level of care. Unlike other moving services, we at SugarLand Movers wrap and protect All furniture for All of our clients without exception, because that’s the best way to ensure your stuff gets to its new home in perfect shape. Our Basic package includes the wrapping of all furniture with blankets and pads, careful dis-assembly and reassembly of basic furniture, Loading, Unloading. SugarLand Movers will ensure the proper placement of each piece of furniture in the locations our customer desires at their new premises. Our Gold package includes all of the services that come with the basic package, and adds in careful packing of all glass items. All of your fragiles such as mirrors, photographs, china cabinets, glass top tables, wine glasses, glass vases, et cetera. SugarLand Movers ensures these precious possessions are wrapped and packed with the utmost care. Our Platinum package includes all of the services from the basic and the gold packages, and adds in the full wrapping and packing service for property. There is no extra charge for any of the materials used, such as boxes, crates, bubble or shrink wrap, or any other materials we may use to carefully protect all of your possessions. 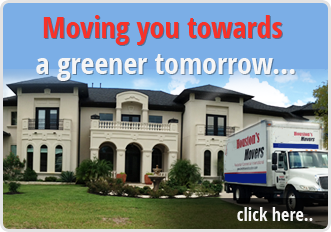 We here at SugarLand Movers take your relocation very seriously, and will always move you with the utmost care. Whether you are moving across town, or just joining our fair community, we will get your things to your new home safely so that you don’t have to worry.